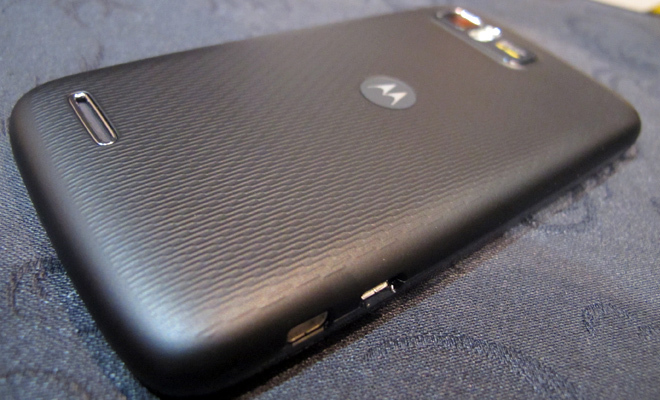 SAN DIEGO, Calif. — Motorola’s first iteration of its Atrix smartphone promised a lot. You could stick the phone into a keyboard dock to turn it into an ersatz notebook, and a powerful processor and multimedia output connectivity imbued the device with media hub aspirations. The Atrix’s successor follows that well-worn path, but offers improved specs and a kinder price. 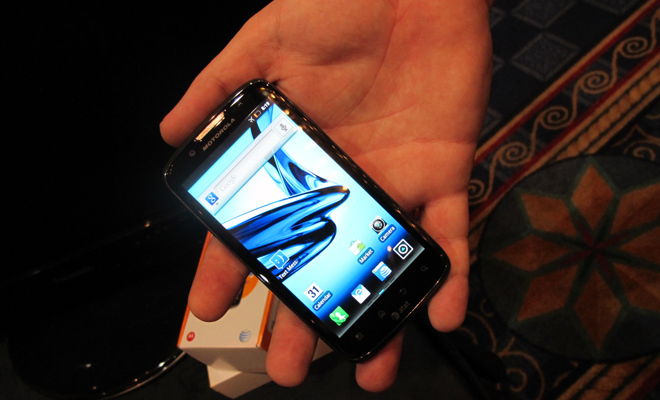 The handset has all of the characteristics of a classic movie sequel: Same cast (1-GHz dual-core processor, this time care of a TI chip) and the same plot (multiple connectivity options for Motorola’s peripherals, including a laptop dock and HDMI-out/charging station). But, fortunately, Motorola has also picked up the pace; The phone runs exclusively on AT&T’s HSPA+ network, topping out at speeds of 21Mbps (or so says Moto). And unlike most follow-ups, this sequel costs less — the Atrix 2 is now $100 with a two-year contract. But the biggest difference is in the wrapping. The phone just feels right. Sort of like Goldilocks looking for her perfect bed — not too big, not too small, the perfect size. With a rubberized backing surrounded by a sleek, metallic-finished bezel, the Atrix 2 feels far better in hand than its plasticky predecessor. The 4.3-inch, 960 x 640 qHD screen isn’t the largest out there, but it’s certainly ample enough for media consumption and app use. Expect the usual accoutrements we see in today’s higher-end smartphones: an 8-megapixel back-facing camera (upgraded from the first Atrix’s lens) with 1080p HD video capture, a full gig of RAM for speedier performance, and 8 gigs of on-board storage expandable via microSD card. 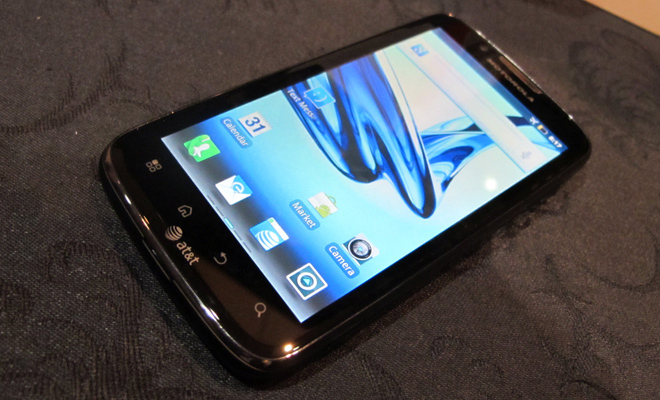 So, yes, the Atrix 2 is nice. And, yes, it’s a step up from Moto’s first-gen model. But like any sequel, the improvements are marginal — more like minor upgrades than major revamps. If you dug the first Atrix, you’ll probably dig this one more. But not by much.